HubSpot, earlier, reported on how businesses using marketing automation to nurture leads showed an incredible 451% increase in qualified leads. So, what does this mean for your business? How can you start to reap benefits like this? Well for one, you could get in touch with us here. Make sure you set and define your goals. List out actual numbers while justifying an investment in a marketing automation platform to investors or stakeholders. To build a more comprehensive strategy, consult with marketing and sales teams to get a more wholesome marketing automation strategy. Visualise your workflow and create detailed drawings of your whole workflow process to present a clear picture to your organisation. Look into segmentation of your database, based on your customer pool. Figure out who you would like to engage with and what you are looking to communicate to them. Outline your content strategy and start working on your content library. Remember to make your content interesting, engaging and relevant for all stages of the buyer’s journey. Just like the tortoise, remember, slow and steady can win you the race. When the rollout of your strategy is done slowly, it provides a chance to test, review, analyse and optimise the campaigns to increase conversion and efficiency. Want a more personal guide to the right Marketing Technology for your requirements? What’s new with marketing automation and what can we expect this year? AI is expected to make communication with leads more engaging and personalised. With the power of AI to guide your marketing efforts, you can choose how (through which channel) and when to communicate with customers using the channels preferred by your recipients. Content marketing is one of the most efficient marketing strategies of the 21st century. Slowly but surely, duly in part to the birth and growth of the Inbound Methodology (link to our blogs), creation and sharing of content channels has improved in quantity and quality. Content distribution channels are now being given importance and the audience personas are considered during this process, which has improved the quality of generated content as whole. You may be getting a lot of leads but are they all going to convert into customers? This is where a system of lead scoring using specific metrics, associated with specific persona traits can help in picking the legitimate ones from the masses. This Lead scoring system makes it easier for the users to classify the lead as an MQL or a SQL, allowing the right next step to be taken. This creates an effective and scalable marketing and sales knowledge base. Since we have mentioned AI and its importance in this year, we must mention chatbots, which is currently the most used application, and one of the best examples of AI technology in use. The usage of a smart chatbot shows a noted increase in response, with reports showing that 60%+ users reply when pinged by a chatbot on Facebook Messenger! Cross-channel and cross-device marketing is important with 40% of marketers believing their media investments should be spread across channels rather than a single channel focused marketing. Brands need to integrate their marketing efforts across all the major channels with the help of automated campaigns to effectively maintain consistency in brand messaging, as well as delivering the right message at the right time. HubSpot prides itself as an all-on-one platform for all your marketing and sales needs and when it comes to Marketing Automation, it does just that. 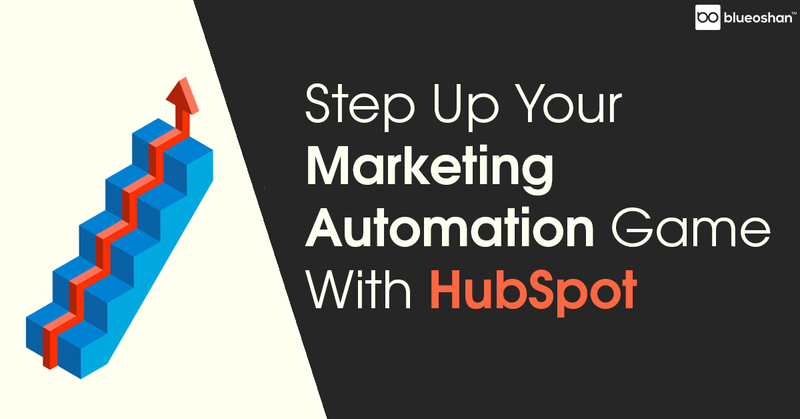 HubSpot’s automation workflows can rid your process of days of repetitive manual labour. With the ability to use a whole lot of triggers, conditions, and actions, your workflows will turn out to be perfectly tailored to each situation your prospect is going through. What’s more? On HubSpot, the autopilot mode for your campaign doesn’t stop with workflows and emails. You can further use the email marketing automation to tailor content, offers, and ads on platforms, like Facebook as well. As technology evolves in leaps and bounds, it brings with it new and improved trends in the sphere of marketing automation. In this blog we have touched on some of the points but still it will only count for a drop in the ocean.. But there’s one thing we know for certain, the possibilities are endless as to how Marketing Automation will be used and integrated in marketing processes. It will play a huge role in the shaping of the future of marketing strategies.